MainAll NewsUS & CanadaWill pro-Israel senator lead the CIA? Will pro-Israel senator lead the CIA? Senator Tom Cotton, vocal supporter of Israel and opponent of Iran nuclear deal, reportedly under consideration to head CIA. US President Donald Trump is reportedly considering appointing Senator Tom Cotton (R-Ark.) to lead the CIA instead of current agency head Mike Pompeo. According to the report, Pompeo is being considered to replace US Secretary of State Rex Tillerson. Cotton is one of the most outspoken supporters of Israel in the US Senate. "The president's senior advisers are discussing with the president the move of Mike Pompeo to the State Department and Senator Tom Cotton to the CIA, " senior radio broadcaster Hugh White said on NBC News' 'Meet the Press' Sunday. Earlier this year, Senator Cotton told Jeffrey Goldberg of The Atlantic that "Jews are called Jews, because they’re from Judea ... It is a homeland to which the Jews have been attached for many millennia." 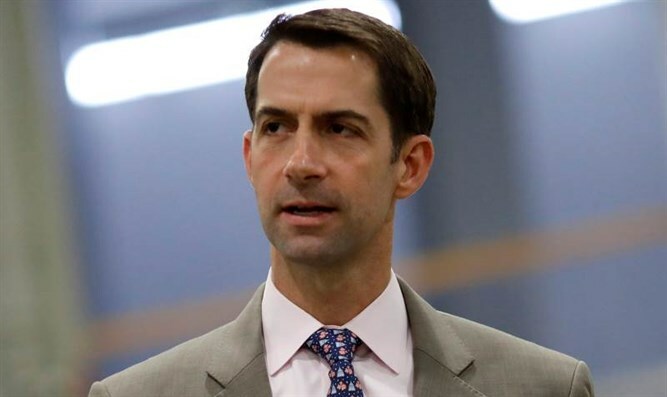 Cotton was the only senator to vote against the bill that allowed the nuclear agreement with Iran to be approved in July 2015. The bill passed by a vote of 98 to 1. Cotton also said to Congress in 2014 that the US should consider selling B-52 bombers to Israel, as well as bunker buster bombs capable of destroying underground Iranian nuclear facilities. Senator Cotton has called on the Trump Administration to cut funding to the Palestinian Authority until it ceases paying terrorists in Israeli prisons and the families of terrorists.